Nowadays, very few websites contain only text. A fair amount of screen space is devoted to images as well. Audio, video, and all combinations of media files are also included to reinforce text content. Media inserts, too, help break up long paragraphs of text. 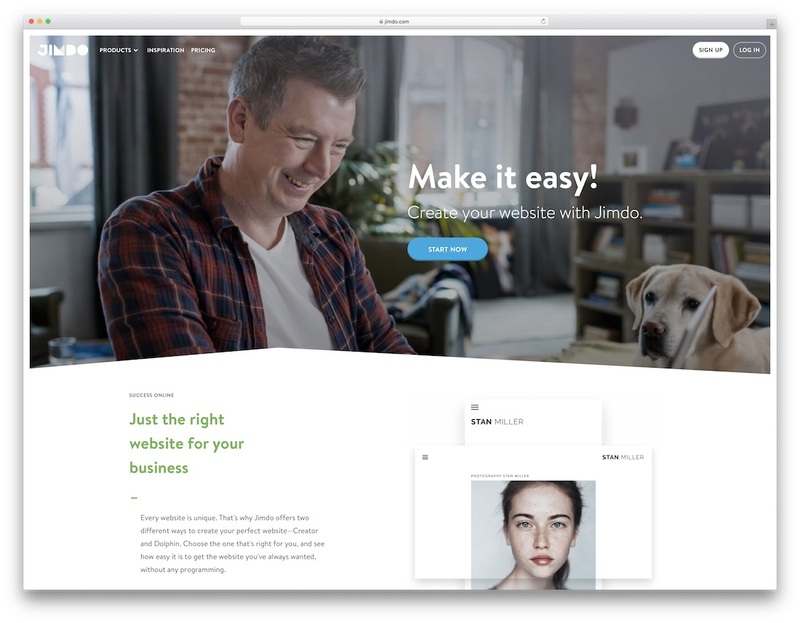 When it comes to websites, such as portfolio, photography websites, or music websites, media files can almost completely occupy the website space. When you create media files on WordPress, they all get stored in the media library, from where you can access them whenever you want. If it happens that you rely heavily on media for content, the media library can become very disorganized quickly. To help you organize media files within the media library, you can get help from the many WordPress media library management plugins. The media library management plugins make it easier to handle the media files at the WordPress back-end. You can categorize the files, edit them in bulk, and delete the files that you no longer need using these plugins. There are many other plugins that can draw media files from external resources, such as Remote Media Libraries or WordPress External Media Grabber, but this post is devoted to plugins that help you better manage the WordPress media library. The WordPress plugin repository has a number of efficient plugins that can help you organize your media files and make it searchable. Many of them help categorize not only the new media files but also the existing media files in bulk. Some help you to rename old files, while others are useful to slot media files into folders and subfolders. It is the best choice for you to use FileBird – WordPress Media Library Folders to arrange and manage your media files as it was born with nice design and smooth operation. It works and functions like what you are used to doing with organizing files or folders on computer. Once you install the plugin, you will be able to organize thousands of your images and other media files into folders or categories at ease, drag and drop to upload or move files into folders and drag and drop to rearrange folders. You have the toolbar on the left which allows you to control all of your folders, files and you can easily right click to quickly create, rename or delete folder. You can create folders, subfolders for all your media files with most of file types supported. When you create a page or a post, it is time-saving for you to browse and pick up a file. In just a blink of an eye, you can quickly select a specific folder or file by the help of folder hierarchical view. This plugin is supported with most plugins or themes, WooCommerce, WPML, etc. and popular languages, English, Spanish, Chinese, etc. All you need is right on your hands to sort tons of your files and folders. FileBird has both Free and Pro version, you can choose which one you suits the most. Free version offers limited folders of 10, Pro goes with unlimited folders. Both support unlimited files. You’ll not find it difficult to work with Enhanced Media Library as the features are designed to work just like a native WordPress function. It immediately creates media categories on activation, so you can filter images via the WordPress admin. It’s possible to create and assign as many categories as you wish to the media library or to assign existing categories and tags. Both existing and new media items can be categorized during the upload process while adding media to posts or pages or even within the media library. You can search and filter media items from every media library screen. Using the plugin’s settings, you can filter the images that will appear in the media library popup and edit taxonomies before inserting into pages and posts. You can order the media items in the library using options or by drag and drop. Using shortcodes, you can create galleries, audio and video playlists. While the plugin is compatible with most other lightbox, gallery, and image compression plugins, there may be incompatibility with other plugins that categorize your media files. This is on account of the differing approaches to the same functionality. The premium plugin may be necessary for you if you have tons of media files to manage. It gives you the capability to categorize media files in bulk and select multiple media files in a single click. It uploads media items to parent post categories automatically and enables enhanced gallery or playlist shortcodes with the help of the WordPress user interface, with no coding required. The Media Library Assistant packs in a number of shortcodes to display, sort, and order your images. It includes an advanced gallery shortcode that lets you add images and other media files to your posts. You can add, remove, and edit taxonomies in bulk, and via the quick edit feature. 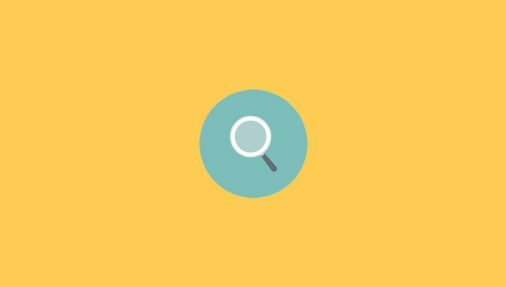 It improves the WordPress media search feature by including slug, ALT text, and image captions as search filters. It provides control over the styles, markup, and content of each gallery using style and markup templates. The Media Library Assistant can reveal information as to the size and dimensions of each media file as well as its location on your website. Using the EXIF and other meta data, it can also tell you when and where the images were created. The plugin integrates with Jetpack and other plugins, so you can add slideshows, thumbnails, and special effects to your gallery. It supports WPML and Polylang multilanguage plugins. To keep things as organized as possible in your admin dashboard section, consider using a WordPress media library management plugin. But that is something you already know. Folders is a great, simple to use and free tool that allows you to create subfolders for different content and have things in perfect order. From texts, images, videos and audios, Folders supports them all and then some. The drag and drop interface also makes it super convenient, creating an organized atmosphere that you are after. Whether you use it for your own page or for your client’s website, Folders makes the whole experience convenient and practical. This way, you will never again be submerged in a vast collection of content, always taking you a ton of time to finally find the files that you need. Hence the name, Media Library Organizer is a free WordPress plugin that helps you create your own system. The kind that will keep all the material that you upload to WordPress organized, categorized and easily accessible. If you are regularly uploading different types of content, you better get your hands on Media Library Organizer and make an end to the chaos. To no one’s surprise, achieving great results with the extension is simple and beginner-friendly. Even the installation process is super simplistic, making sure you can do it all on your own, from start to finish. Some of the features of Media Library Organizer are image, video, audio and other media categories that you can set yourself. From then on, you can throw content in the relevant category and sort it out by date or name. Media Library Organizer also works with all media library views, like featured image, image picker, media library list and all the other in between. This next free WordPress plugin is pretty self-explanatory, almost not needing an introduction. Organize Media Library by Folders is an extension to your WordPress dashboard that allows you to create different folders for your compelling content. Speaking of which, you can make different maps for different types of media so you always know where to find it. You can also use new URLs that you create for your folders in the content and have it all under full control. With the WordPress media library management plugins that you find on this list, you can keep things organized in the back- and front-end. As far as creating the niftiest galleries goes, FooGallery is a free plugin that will do the trick. With the extension, you get a chance to create these jaw-dropping and interest sparking galleries that will knock everyone’s socks off. And to achieve such spectacular results, little time and effort are needed. Features of FooGallery’s free version include lazy loading, simple pagination, gallery widget, drag and drop reordering and albums. FooGallery is also compatible with Gutenberg, mobile devices, retina screens and web browsers. Introduce outstanding media galleries to your WordPress websites seamlessly and effortlessly. See the predefined live demos yourself and you will instantly understand the power of FooGallery. Naming image files can have a positive impact on SEO. Adding ALT tags to images is one of the ways of optimizing images for SEO. The Media File Renamer plugin automatically renames all the image files based on their titles. It also ensures that any reference to these files is also automatically updated. You can toggle the options for automatic renaming on or off by clicking on the lock/unlock icons. From a dashboard in the media, you can rename all the files in one go. If you wish, you can set filters to control renaming of the files. If you do not want any further changes to file names, simply turn on the lock option on that image. The pro version allows you to manually rename each media file. It also allows you to rename depending on the post to which the media file is attached or the ALT text or many other options. It would be a good idea to let the plugin automatically rename the files and then fine-tune those names that need alteration. Media Library Categories adds the ability to add and use taxonomies in the media library. A drop-down of categories will appear in the media library, and you can select your categories from that. If you want to change the categories of existing items in the media library, that’s possible, too, as the plugin supports bulk editing of categories. By default, the plugin uses the same categories as the post and pages in your WordPress, but you can also use other categories by using a bit of code in the functions.php file of your theme. Using a shortcode, you can get images of any particular category to display in a gallery format. This plugin is a good fit if all that you want to do is add categories to your media files. To be able to filter media files based on categories while uploading to a post or page, you’ll have to opt for the premium version of the plugin. The task of the Enable Media Replace plugin is really simple—replace an existing media file with a new one. That’s it, no need to delete old files; rename them or re-upload them. You can replace the old files by accessing them via the Media “Edit View.” A new option “Replace Media” will appear, and simply clicking on it helps to replace a media file. One method of replacing is to simply upload a new file of the same type. The new file replaces the old one and retains the file name of the old attachment. You can also choose to rename the file with a new name and then update all the links. The links will all point to the new file then. This function can be very useful when you want to replace or update many images in your Media Library. Using shortcodes, you can display the date and time of modification of the media file. WP Media Category Management supports categories for media files by using the existing categories or a dedicated media category custom taxonomy. You can change categories easily by toggling on the media list page view, including bulk toggling for multiple media files. It supports post tags and media taxonomies defined by other plugins as well. Using this plugin, you can control media categories via admin the same way as you control post categories. It also allows you to filter media files in your media library using custom taxonomy in both list and grid views. While uploading media files, you can choose a default category. WP Extra File Types allows you to add file types to the default list of file extensions supported by the WordPress Media Library upload process. A simple tick box in the user interface lets you add many media file types. WordPress Media Library Folders is another plugin that lets you add folders and subfolders in your media library. It allows you to move, copy, rename, and delete files and folders from a convenient drag-and-drop interface. You can also regenerate thumbnails and sync files/folders while uploading via FTP. While the free plugins are efficient enough to categorize and sort media files, the premium plugins go a step further. They enable you to put the files into folders, reorder files by drag and drop, and create galleries using tags. They also come with better support. Have you ever had trouble when it comes to manage thousands of files of images, videos or documents that you have uploaded to your WordPress? Totally yes, right? Don’t mind much, a tool was born to help you handle this issue. 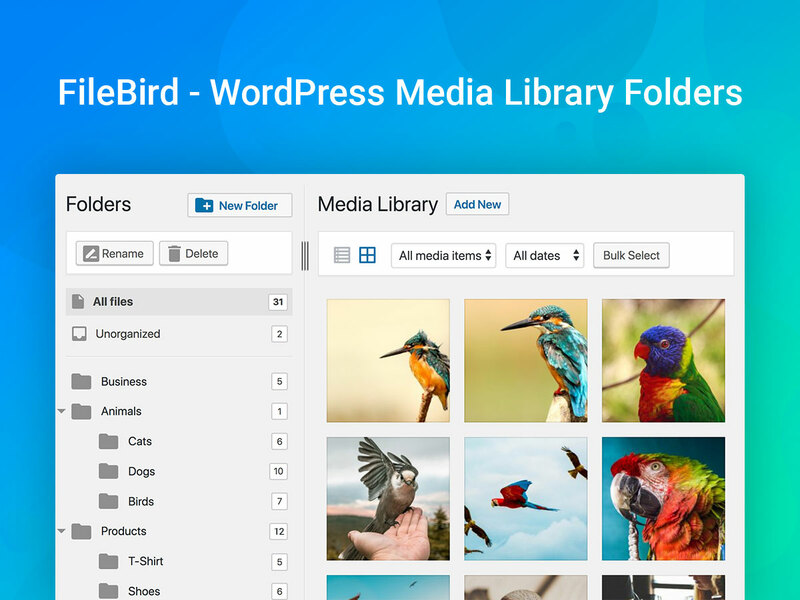 Manage your media files with absolute ease with the fantastic plugin called FileBird – WordPress Media Library Folders that is developed by Ninja Team will dramatically take your WordPress Media Library to the next level. The transparent user interface and smart context menu will let users drag and drop files into folders or have the rights to quickly create, rename or delete folders just as the same as what you do on your computer. It’s easy as falling of a log. With this tool in hand, your media files are arranged systematically, and you can easily select an image to insert in a page or post as media folders and categories are available to choose right on the page/post menu bar. 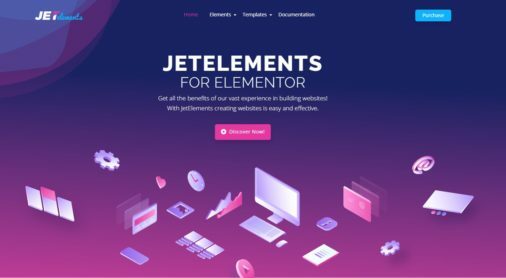 What’s more, this useful plugin is entirely compatible with most popular plugins, especially the world’s most famous e-commerce plugin, i.e. WooCommerce and it also supports a great number of languages like English, Spanish, French, Italian, to name just a few. This plugin is highly beneficial for those who are running online store for not only its friendly UI but also its highly customizable features that will definitely satisfy your purpose. For all of the mentioned features, FileBird is worth your consideration. If you want to give your WordPress media library management a shot in the arm, the FileBird plugin could be your secret weapon. WP Media Folder allows you to navigate your media library in the same way as you navigate using your desktop browser. It allows you to drag and drop media files into folders and subfolders. Using the native WordPress media manager, you can manage and order files and images. Creating folders, navigation, and filtering is all done in no time at all. Classify all your images in a folder, and add a cover image to it for easy identification. One image can find a place in multiple folders. The plugin relies on the native WordPress media library, and so if you want to uninstall the plugin, you’ll not lose any media files at all. The folders are generated using a custom taxonomy. This means that even if you move the media from one folder to another, the links will not be affected. You can arrange the files by file type or size or title and can filter the files accordingly. Besides, you can import entire folders from your server to your media library. An automatic sync feature allows you to sync any server folder with a media library folder. 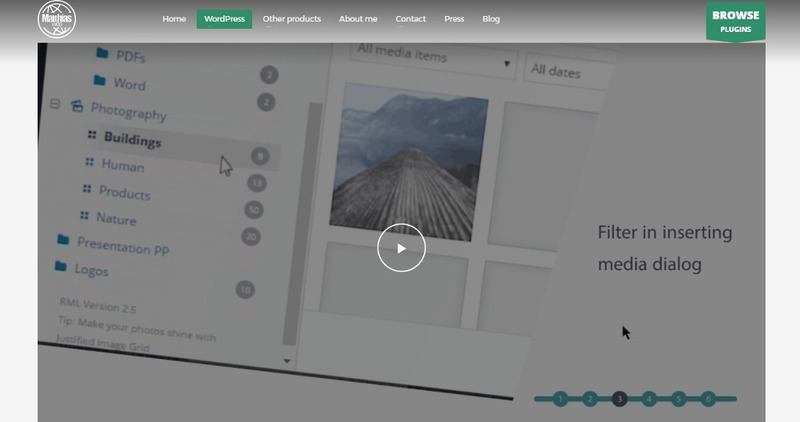 WP Media Folder is compatible with WooCommerce and any other media plugin that relies on the WordPress Media Library. A “Replace Media” option allows you to replace old media files with new files having the same format, so the links to media are not broken. You can also use the plugin to add a watermark to all or some of the images in the media library. An add-on to the plugin helps the integration with Google Drive, Dropbox, PDF embed, and One Drive. Real Physical Media is something a little different, yet super powerful and practical when it comes to organizing all your media content. Instead of having it all in one folder, stuffed in no particular order, you can now take advantage of different folders. This allows you always to know the exact location of particular types of content. Stay away from making a big mess once and for all. With Real Physical Media, you can quickly decide where you would like to store your uploads. There sure is a lot to talk about Real Physical Media. If you do not want to activate automatic queueing, you can append one file at a time manually. Moreover, you can exclude folders from the physical path when necessary and migrate your pages flawlessly. The SEO URL rewrites are also available to avoid 404 errors completely. WordPress Real Media Library—Media Categories/Folders File Manager helps you organize thousands of images and media files into categories and folders. From a single toolbar, you can create, rename, delete, and reorder folders as well as drag and drop files. While selecting media for insertion into posts and pages, you can search for the media files by filtering. The tree view of your folders makes it easy to find the folder and then find your file within the folder. To find your files faster, you can create shortcuts. The plugin comes with an improved uploader to upload files directly to the folder. You can create dynamic galleries from the folder and order the images within the gallery any way you like. Real Media Library supports three types of folders—a normal folder that can contain all types of files except galleries, and gallery folders, which can contain only images. The third type of folder is the Collection folder, which contains no files but only gallery data, which you can use to create a visual gallery. The plugin is compatible with Revolution Slider and touch devices. The plugin supports multisites and is developer-friendly. Developers can further extend the plugin’s functions to synchronize with external folders and in other ways. Images take up most of the space within a WordPress website. Organizing the media library helps to manage space and retrieve the images faster. The media library functions of WordPress have improved over time, but the above WordPress Media Library plugins can do much more. They help to categorize and add taxonomies so that you can search and filter the images easily. Are you using any of these plugins or any other plugin to manage your media library? Do share your experience in the Comments below.